*All images are taken with Samsung S3 except for Last Call. Other than recalling eating different kinds of sushi in Okinawa, Japan, I also want to talk about giving things another shot. At first taste, I didn’t like wine. When I got to Italy, I tried some of their great tasting wine and now I love it. Same thing with dates, beets, Jagermeister ;), brocolli :D, and really a lot of things of those I tried eating for the first time. It’s not that I got weirded out eating sushi, the taste just didn’t appeal me at first. There’s a restaurant called Sakura in Mississippi that completely changed my perception of sushi. 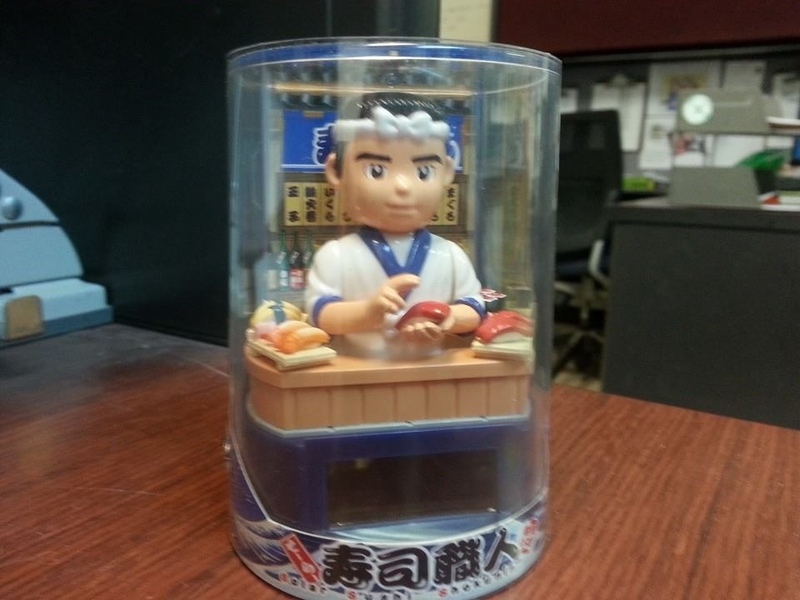 They have a bento box that includes small pieces of sushi. After that, I have gotten quite an acquired taste for sushi. I love sushi. Though to me, it gets expensive for food that doesn’t really fill me up after eating. In Japan however, they have cheaper price for sushi. Not only I got some spare change, I also got the authenticity so I was chowing away with sushi and ramen when I was in Okinawa. 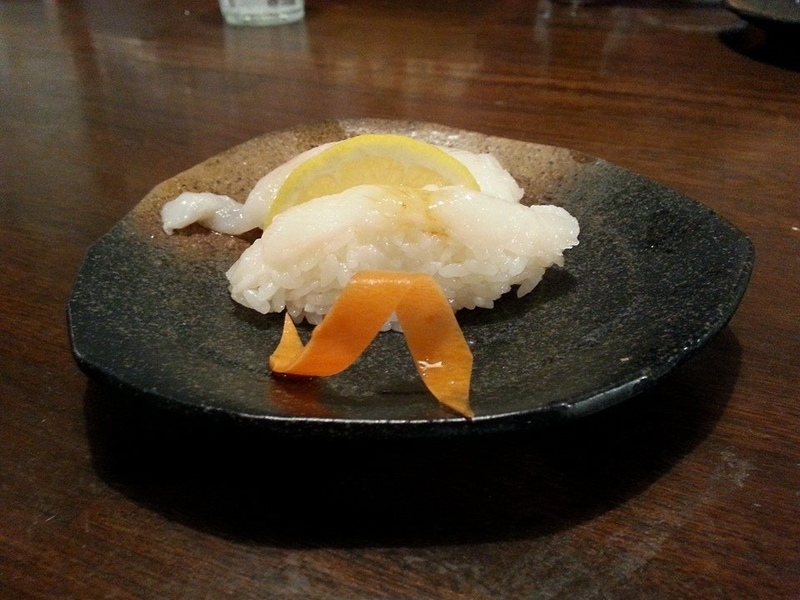 … A slab of raw fish on top of the rice part. 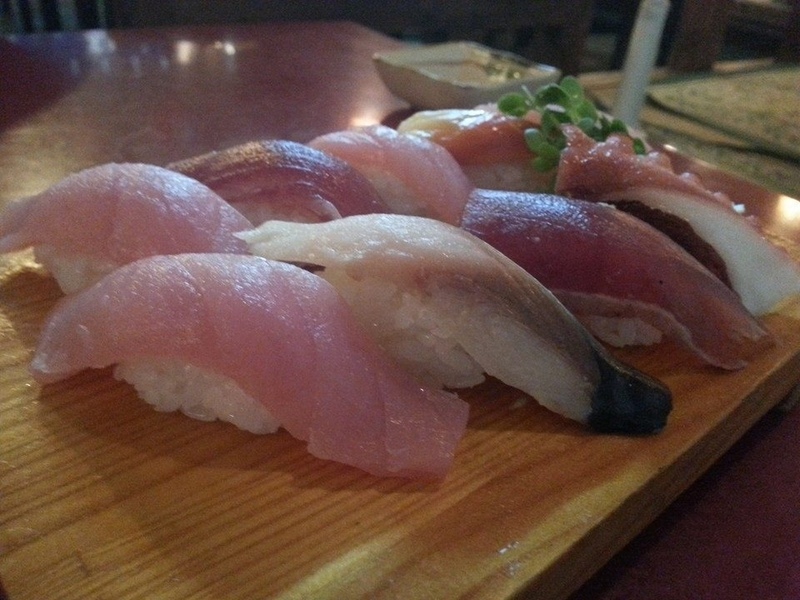 It was a challenge for me to eat the whole set because it is hard for me to eat raw fish. Even given that I loathe wasting food, I still shamefully didn’t finish that plate. I gooooooogled it in the internet a lot of times but I really can’t figure out the name of the place. It is leading me to believe that this place really is amply and simply called “Sushi Go-round”. 😀 This is in American Village. Such neat idea. They make the sushi, put it on the carousel, and customers get to see to pick what they want from their selections of sushi. Plus, it also gives you variety instead of just one type of sushi in one plate like the ones in almost all sushi places in the US. 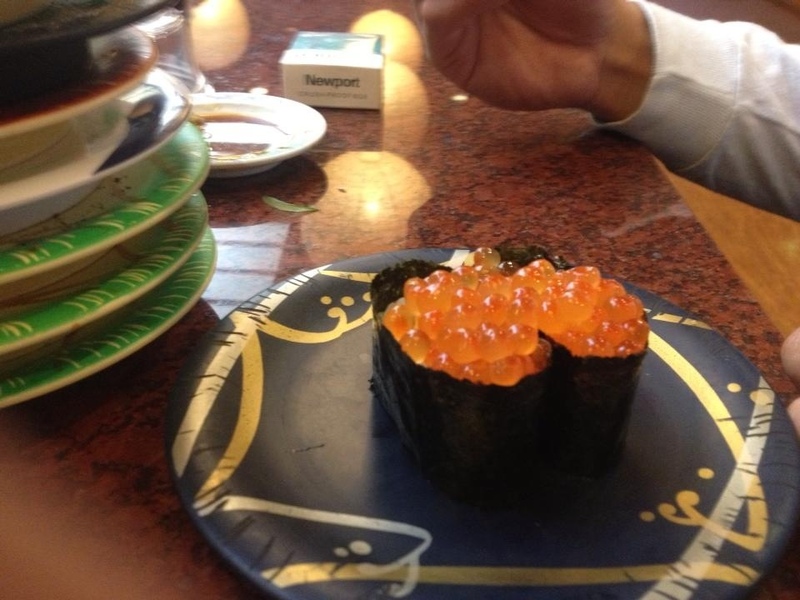 They also have fish egg sushi. Not for me. Most plates have two sushi of one kind. The sushi there are smaller than the first picture up top. I think I walked away the most with 9 plates. My friend loves eating sushi that I think he had 13 plates (so that’s actually 26) in one sitting. Of course, I also just want to bring back my experience when I ate a blowfish in the form of sushi. You can read my post all about the danger and “ethical dilemma” of eating blowfish here – To eat, or not to eat blowfish, that is the question. I also love this display I brought back with me here in the US. 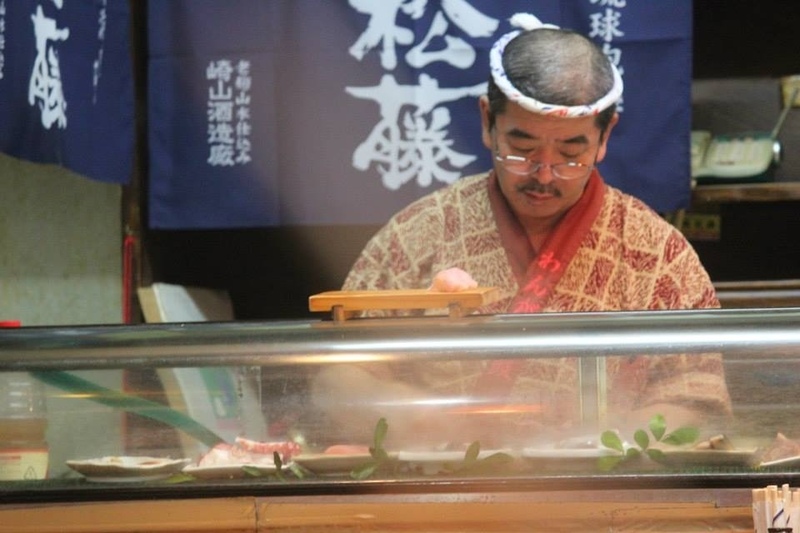 He bobs his head continuously and his hand also moves continually tapping the sushi. I used to place it on my office desk so when I want my mind to drift off during work, I just look at it. 😉 It’s a cool display. You see, you shouldn’t really go off of your first tries. You should give things a second or third or so on chances as long as you finally had enough attempts before setting on a conclusion. You should allow them another shot. You should give people chances. People who get discreditted are better when they seek redemption. And they get even much much the best when they did find redemption and once they recovered. Some of you may remember this sushi master from my black and white post titled Blaque. Sushi go-round definite gives sushi dining a different “spin”. 😉 And yes, you might find yourself with stack of plates that will make your wallet thin. Dryer lint sushi?, that really is something else. Me also. I used to dislike wasabi so I didn’t like Sushi. 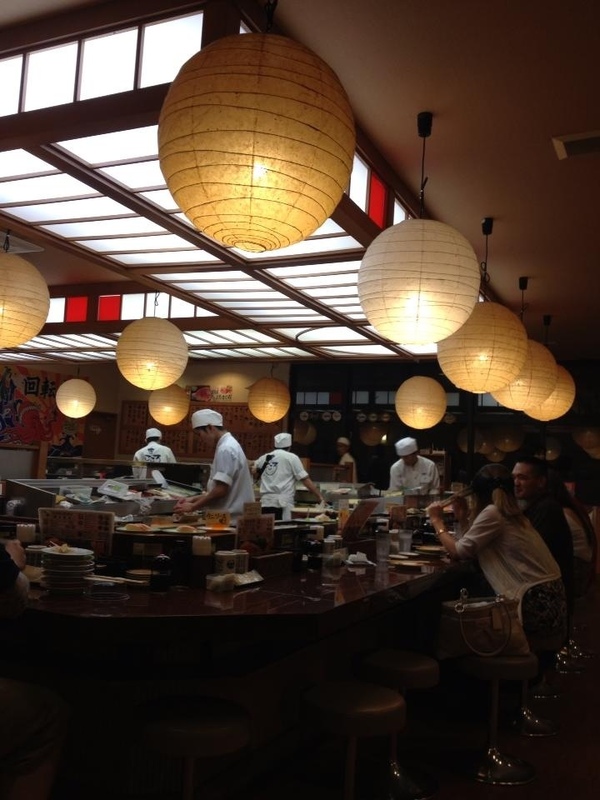 However, I’ve changed my mind forever after eating one meal of sushi in Nagoya where I visited my brother. That meal changed my life forever. Now I like wasabi and I love sushi. Yes, so I agree with your comment on the fact that we should give something more than one try. That was it! The wasabi does make it displeasing to a sushi virgin. Ima try it next time I come across it. Marinated raw fish? I actually eat those. me, too. i couldn’t eat sushi until 18 years old. thank you for your doctrine! i’m with you. we need a big heart at times. Thanks. It takes so much to forgive and forget. Definitely not the type of sushi we see here! As always, interesting to read. The uniqueness of Okinawa is one thing I love about it. Ick! I don’t like sushi, in fact I don’t like anything that comes out of water (or swims in their own toilet) and I have tried fish more than once! But I love you photos and looks like you had a great time! Lol at swimming in their own toilet. If you put it that way, then it certainly makes one thing it’s gross. Wow, That must have been one hell of an experience ! Raw meat is not my thing either. I mean its RAW!!! I’ll eat sushi, but I would rather eat something else. For an Italian, it’s a plus that you eat sushi. I had the same experience with sushi. Aside from “fake” sushi, like California rules, I couldn’t really get it…but like you, I kept trying and now I can’t get enough!! It’s really an acquired taste. I’m not sure if I know anyone that loved it from first bite. 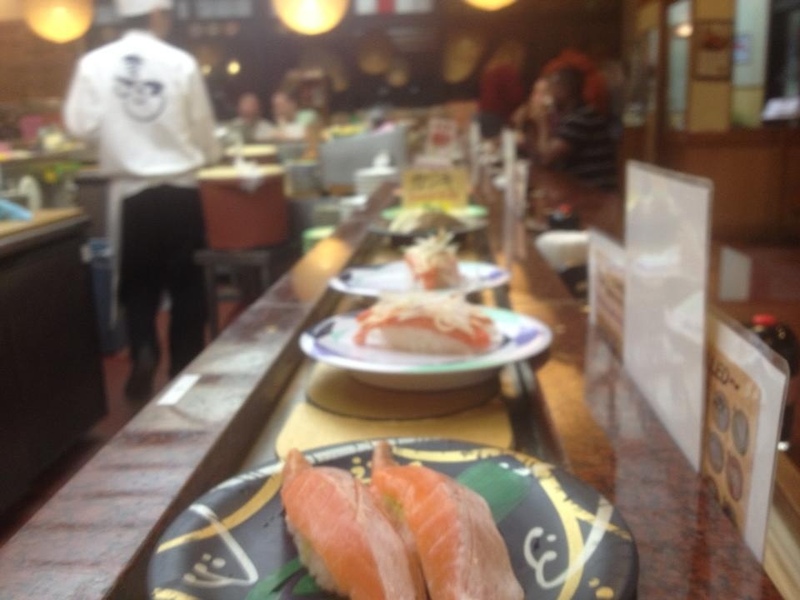 We have a great conveyer belt sushi place here too – just $1 per plate. Can you believe the price!?! I was wondering about that when I made the post. The one you said about instantly not liking sushi with one bite maybe true. I absolutely adore sushi but have to agree it can get very pricey. Everyone and everything deserves a second chance, on this I also agree. So glad to hear you reconnected with a dear friend who you had lost contact with. Yeah, I do that some times, ignoring someone forever. It’s just that I always go for close relationship. So when something breaks, I find it hard to make the effort to even fix it. Same with me and my brother. We talk but we will always still have that silence between us because of years of having issues when we were young. Glad you had yours patched. Way to be the bigger person. My relationship with my sister will always have its scars as well. I didn’t intend to make this post because 2/3 of it, I already discussed before. But because I thought of that parallel about giving chances, I decided to revisit. 😉 Thanks for reading, Linda. As a lover of sushi I envy you had an opportunity to taste the real Japanese one. The first picture showing that their sushi had a bigger portion of fish on it. Your story and experience are amazing. Love it. I know. The problem now is that I became a sushi elitist. I feel like I’m picky with my sushi choices. Great post! When were you on Okinawa? I was there from 1994 to 2010. I ran the news bureau for Stars and Stripes and often ate at that Sushi place in American Village. We also ran weekly poetry Open Mic nights on Gate Two Street in Okinawa City. Aug to Feb this year. 😉 Nice to meet another one who has been to Okinawa. Hi Five! What a delicious sushi. Sushi is my best food. I’m so glad you came around to sushi, because it is delicious!! And I prefer those big slabs of raw sashimi insted of sushi rolls with avocado and other stuff. But as for foods that I used to hate and now love, the list is endless… mushrooms, beets, asparagus, coffee, etc. I am still in the process of acquiring a taste! 🙂 Great post Rommel. I am with you on the subject of second chances. I’ve only tried it once, in the Algarve, and that was on an ‘eat as much as you can’ buffet so there was quite a lot of variety. Having said that, I didn’t find that the ‘taste’ varied much. It seemed to be more about the fierce sauce you dipped it in. I wouldn’t write it off but I’m pretty sure it’ll never be my first choice. My husband is a different story. He wouldn’t try French Onion soup in Paris because he’d had it once, somewhere years ago, and it was ‘awful’. 🙂 Definitely second chances for people though. Life’s too short!